Help your child succeed! NextGen 529 is Maine’s Section 529 plan, which many families use to plan for higher education expenses. It’s never too early to start planning ahead and opening a NextGen account now can make a big difference later. Every dollar in a NextGen 529 account, when used for qualified higher education expenses1, is a dollar that doesn’t need to be borrowed and repaid with interest. *This hypothetical investment example illustrates the potential value of regular $100 monthly investments over 15 years and assumes a $25 initial contribution and an average annual return of 5%. These examples do not reflect actual investments and do not reflect any fees or expenses. Investment performance is not guaranteed. Investments may lose value. 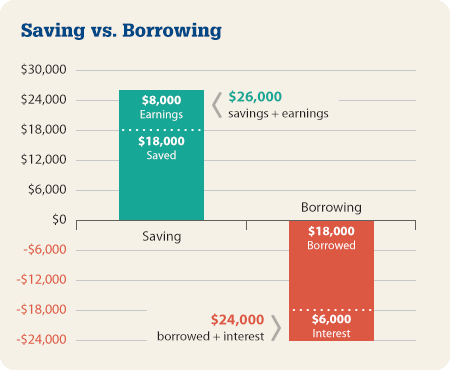 This hypothetical borrowing example illustrates the potential cost of borrowing $18,000, repaying over 15 years and assumes an interest rate of 4%. Any earnings have the opportunity to grow free from federal (and possibly state) income tax. Withdrawals, including any earnings, are federal tax-free when withdrawn to pay for qualified higher education expenses.1 Contributions are not deductible for federal income tax purposes. These tax benefits can help maximize your contributions to your 529 account. Starting in 2018, you can also use up to $10,000 per year from your 529 account for the same beneficiary for elementary or secondary public, private or religious school tuition federal income tax free. Tax treatment of distributions for elementary and secondary school tuition may differ in some states. 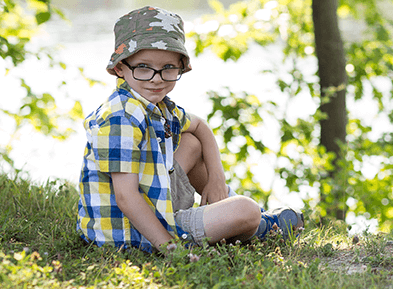 These portfolios provide an investment strategy that varies based on the age of the child. Funds are invested most aggressively when the child is young, and are automatically shifted to a more conservative approach as the child approaches college age. These portfolios have specific investment objectives, such as growth or income. These portfolios invest in one underlying mutual or exchange-traded fund, allowing allocation based on the underlying fund’s range of investments. The Principal Plus Portfolio is currently invested in only a guaranteed interest account although it may also invest in corporate fixed income investments and/or similar instruments. The NextGen Savings Portfolio is comprised exclusively of deposits in an interest-bearing, FDIC-insured bank account. Parents, grandparents or even family friends can open a NextGen 529 account. You can even open a NextGen 529 account for yourself and pursue your own post-secondary education! Assets in a NextGen 529 account may be used at any U.S. accredited post-secondary institution. Accredited institutions are those eligible to participate in federal financial aid programs, and include some foreign institutions. NextGen 529 offers multiple investment choices. You can change your existing investment allocations twice per calendar year and upon a change of beneficiary. You can change the allocation of future contributions at any time. You can make contributions of as little as $25 a month and currently up to as much as $500,000 for all NextGen 529 accounts for the same beneficiary. Anyone may make contributions to your NextGen 529 account — parents, grandparents, friends or family. Once you open a NextGen 529 account, you can arrange to have contributions made to your account automatically from a checking or savings account, or through payroll deduction. Check with your employer to find out if they can process payroll direct deposits. With a NextGen 529 account, the account owner retains control over the funds in the account. The beneficiary — your child, grandchild, niece, nephew, or anyone else you name — has no access to the assets in the account. Decisions about the account investments and how the funds are used are always in your hands. Please note that special rules apply to accounts established by UGMA/UTMA custodians. Please remember there’s always the potential of losing money when you invest in securities. 1To be eligible for favorable tax treatment afforded to any earnings portion of withdrawals from Section 529 accounts, such withdrawals must be used for qualified higher education expenses, as defined in the Internal Revenue Code. For distributions beginning in 2018, qualified higher education expenses also include limited tuition at elementary or secondary public, private, or religious schools. The earnings portion, if any, of a withdrawal not used for qualified higher education expenses is subject to federal income tax and may be subject to a 10% additional federal tax, as well as to state and local income taxes. Tax treatment of distributions for elementary and secondary school tuition may differ in some states. Please consult your tax advisor for specific advice regarding such distributions. 2If you make the five-year election to prorate a lump-sum contribution that exceeds the annual federal gift tax exclusion amount and you die before the end of the five-year period, the amounts allocated to the years after your death will be included in your gross estate for tax purposes. Please consult your tax and/or legal advisor for specific guidance before making investment decisions that could affect your taxes or estate or Medicaid planning needs.